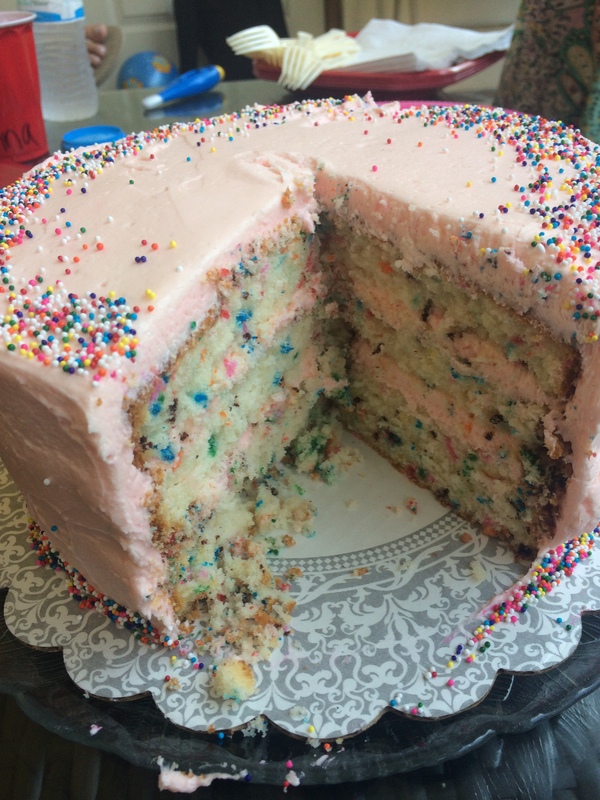 If there is one thing I didn’t have enough of during my childhood it was funfetti cake. Cookie and ice cream cakes dominated 90’s parties. 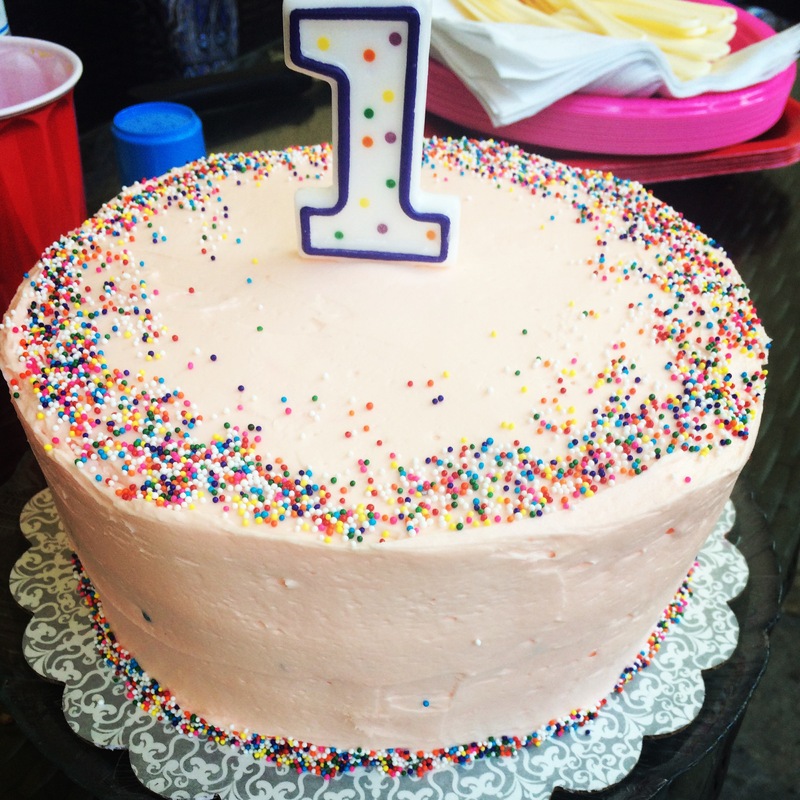 That’s why for my nieces first birthday I made her a funfetti cake that she’ll never forget. But really probably won’t ever remember. Oh well. Preheat oven to 350° F. Grease two 8-inch cake pans. Cut out circles of parchment paper and line the bottom of the pans. Lightly spray the parchment. In a medium bowl, whisk together the flour, baking powder, and salt. With your mixer running on low, add this to the butter mixture in three additions, alternating with the milk. Once you have a smooth batter, fold in the 2/3 cup of sprinkles. Divide the batter evenly between the pans. Sprinkle the remaining tablespoon of sprinkles over the top and bake the cakes until a toothpick inserted into the center comes out clean. Begin checking for doneness at around 25 minutes. Let the cakes cool for a few minutes in the pans and then flip them onto a cooling rack to cool completely before frosting. To make the colorful bunting, knead food coloring (liquid or gel) into marzipan, cut out triangles, and stick them onto the cake.